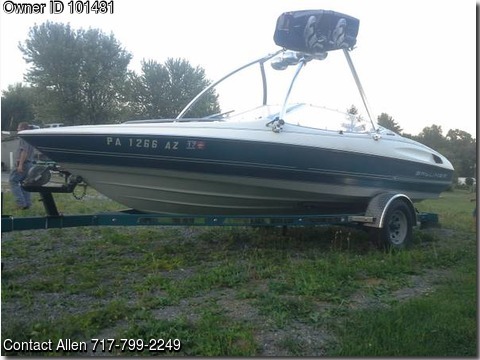 Boat is located in Stevens,PA.Please contact the owner @ 717-799-2249...Price reduced!!! !Need to get rid of my 91 bayliner capri.This boat has a Mercruiser 4.3 engine.Runs good and serviced every year since I have It. It also has a stainless steel prop.Never used It In saltwater.Good looking boat has new carpet and upholstery since last winter. New outdrive,comes with trailer.Has wakeboard tower with speakers includes ballast bag, life jackets, helmets and wake boards.Trailer has new paint and led lights.Have title for boat and trailer.Boat is set up for wakeboarding.Every thing works good but selling as is.Can do water test for serious buyers only.Don't miss out on this great deal on some summer fun!